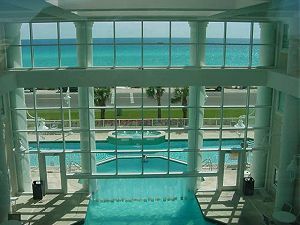 This website is hosted by Destin Beach Realty for the sole purpose of providing information for the Majestic Sun condos managed by Destin Beach Realty as well as to provide real state sales information to the buyers and sellers of Majestic Sun. This website is not an official website for Majestic Sun and is in no way affiliated with the Majestic Sun Homeowners. The Condos at Majestic Sun are a paradise you can call home. 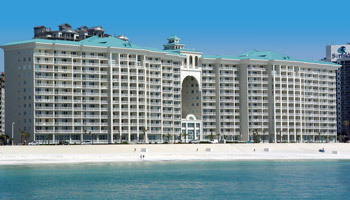 Located on Florida's celebrated "Emerald Coast," Majestic Sun is situated beachside on Seascape Resort. Majestic Sun offers luxury condos on a grand scale that matches stunning Florida sunsets, pure white beaches and the crystal waters of the Gulf of Mexico. Although divided by a two lane road from the beach all 12 floors provide incredible unobstructed gulf views. Extraordinary measures have been taken to blend the scenic beauty of Florida's Emerald Coast to the condominium development. More than a place to visit and more than a place to live, you too will name the Majestic Sun condos as your place in Paradise. There are one, two and three bedroom designs with a choice of six floor plans. Majestic Sun offers owners and guests a super heated indoor/outdoor pool, 2 whirlpool jacuzis, a fitness center, as well as 2,000 square feet of beachfront access, an 18-hole championship golf course, tennis courts, nature trail, fresh water lakes, beachside bar and grill, and so much more. The Majestic Sun Condominium provides the epitome of life's unfulfilled visions. If you are considering a Florida vacation, Majestic Sun is your choice. Destin Beach Realty is a full service realty company, so we can service your vacation rental, sales, or property management needs.